Today, travelers to and through Alabama may carry their defensive sidearms into Alabama rest areas(provided, of course, that you have your permission slip recognized by Alabama). 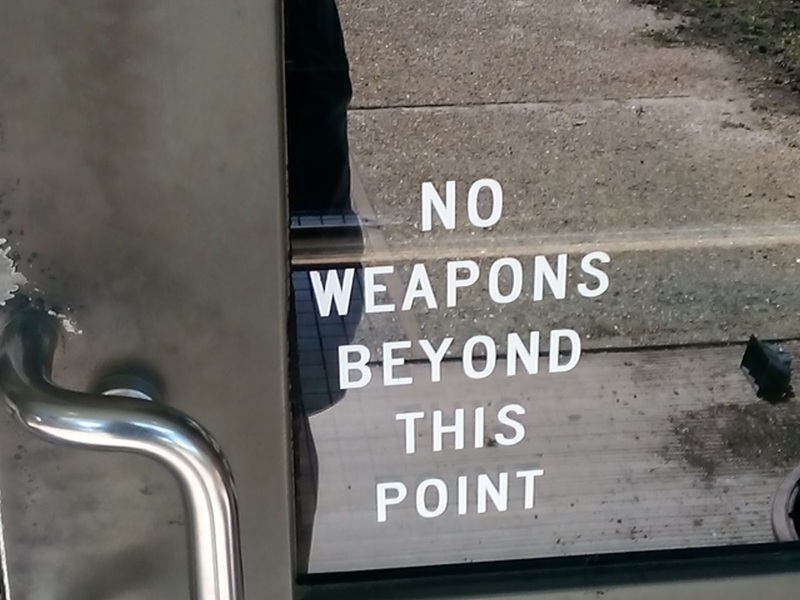 Governor Bentley tweeted, "I have ordered the AL Department of Transportation to remove signs banning weapons at all Alabama rest stops to comply with state law." at 2:27 PM - 24 Jul 2015. Note to the reader - to the upper left of this screen you may enter your email address if you would like to keep up with my posts. I don't spam you. There are no annoying popup ads. You may unsubscribe easily any time. I encourage you to provide me feedback; and share on your social media if you find my material to be of any value. - - - It is definitely time for gratuitous gun ban zones to become a part of history. According to economist and peer reviewed researcher John Lott, since 1950, all mass public shootings but two have happened in these criminal empowerment zones. There are areas where one might reluctantly depend on others to provide for meaningful defense against crime, but there are all too many places that prohibit law-abiding citizens from entering armed. These places don't even have a semblance of security. Alabama Welcome Center. Contact Alabama Governor Bentley at this LINK. Then, there are many entities, such as retailers, banks, jewelry stores, hospitals, universities, etc., etc., which prohibit good citizens from protecting themselves, with their little signs. These signs carry as little meaning as orders of protection. One would prefer to honor these signs. So, the best thing to do is avoid these places, whenever possible, but remember, if you go into one of them, you are on your own. Even Superman would have trouble coming to the rescue soon enough! 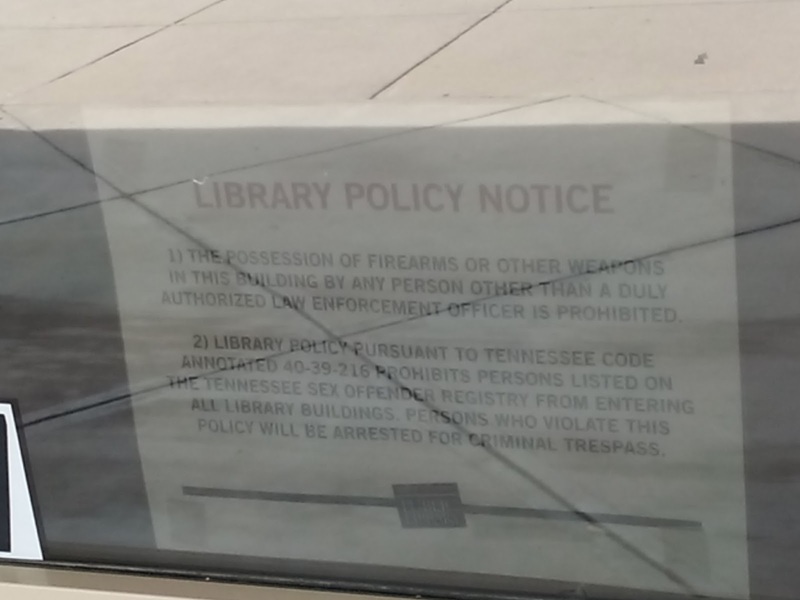 Tennessee law recognizes open and concealed carry, but some times and places are more suited to concealed. If you see a place that is posted, courteously remind them that they are banning the most law abiding group of citizens, while advertising their facility is ripe for the criminal predator. Call on your lawmakers to change the bans in government buildings where there is no security. Call on your lawmakers to remove the felony offense for permit holders in banning locations. Call on your lawmakers to join with other free states and restore Constitutional Carry, a measure Governor Haslam has promised to sign. Write letters to editors and comment on newspaper articles where appropriate. Be safe in your handling of firearms. Practice Cooper's Four Rules. The Boston Massacre was the killing of five colonists by British regulars on March 5, 1770. Tennessee House 14th District candidates, part II - where do they stand on guns? In my previous post, I asked two questions of the two candidates for this seat. Jason Zachary responded first, and his answer is found there. Those who know me, and my 11 years of service on the Knox County Board of Education, will attest to the fact that I am not someone who has knee-jerk reactions to major incidents or tragedies. I think policy and law changes need to be well thought out, researched and purposeful at all times. Given that, and in the wake of the tragedy you bring forward, I will say that I absolutely can not think of a single reason that our military should not be allowed to protect themselves. I think that is something that can and should be changed immediately. I fully support our 2nd amendment rights and will continue to do so. There you have it. Read their answers, and if you get the opportunity, you may want to get them to flesh out their answers even more. Tennessee House 14th District candidates - where do they stand on guns? The Tennessee 14th District (Map) House of Representatives race to replace Ryan Haynes will be won by one of two candidates who qualified for the Republican Primary. Firearms owners, lovers of liberty, and those who desire the ability to defend themselves in these perilous times deserve to know where the candidates stand. Yesterday, we experienced another tragedy in Tennessee, with the murder of the Marines in Chattanooga. This unfortunate tragedy brings to mind the need to get your views, for the record, on the current state of some of Tennessee's laws relative to guns. 1. 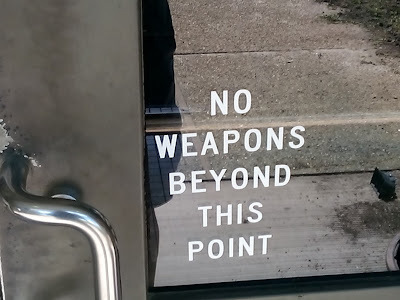 If an entity, such as a business, government office, etc., places a "gunbuster" sign, such as the one on the entrance to the recruiting center in Chattanooga, at its entrance, Tennessee law requires that a person with a handgun carry permit not enter armed. The avowed intent of this legislation was safety, yet with two exceptions, since the 1950's, all mass public shootings have occurred in these "gun free zones"
Question 1. 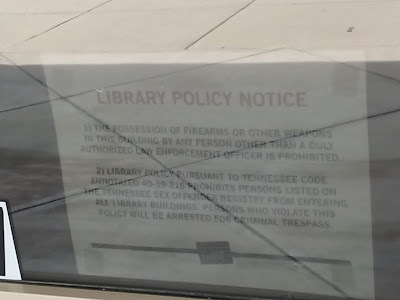 If elected to the Tennessee House, will you sponsor legislation to require these gun banning entities to provide meaningful, armed, security, for their employees and guests/customers? 2. Tennessee law now (with some small geographic exceptions) fully recognizes the citizens' right to keep and bear arms, without a carry permit, in their vehicle. This right recognition was expanded by the 2014 Legislature to include the vehicle in addition to the domicile and place of business. Tennessee law, however, taxes citizens who wish to exercise that right while walking down the street. This tax comes in the form of the fee for the handgun carry permit, along with ancillary expenses associated with the permitting process. To the contrary, Alaska, Arizona, Arkansas, Kansas, and Maine have joined with Vermont, and recognize the citizens' Second Amendment right to keep and bear arms without first getting a permit. Question 2.If elected to the Tennessee House, will you co-sponsor and support a bill such as HB0535, which would recognize the right to carry a firearm without the need for a permit? I would appreciate a prompt reply, for as you know, there is not much time between now and the primary. I will be sharing your answers with the public atKnoxgunguy.com. I fully support arming our military personnel at any facility. The landscape in this country has changed and those who serve us in the armed forces, with proper training, must be allowed to defend themselves against the threat of Radical Islam. In terms of Constitutional carry, I fully support the 2nd Amendment. The right to keep and bear arms shall not be infringed! You will be glad to know that since I joined you at the TFA meeting, my firearm has been with me on a more consistent basis!! Karen Carson has not responded as of Tuesday, July 21, 2015, at noon. If she responds, her response will appear in a subsequent post.